But one tradition is unique to my immediate family alone. 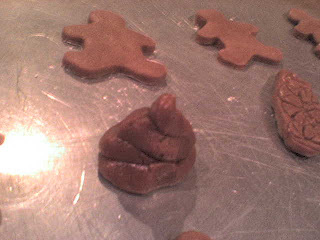 The tradition of making Gingerbread Poop. I did not start out my stint in motherhood with the goal of instituting a tradition whereupon all the participants would use cookie dough to create replicas of excrement. 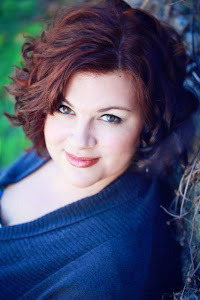 I planned on baking plates full of all sorts of homemade goodies, an apron wrapped around me, my cherubic children lined up to stir, roll, decorate, and lick the beaters. Of course, I neglected to plan for boys. Boys change the rules of the game by virtue of being boys. They don't stir cookie batter, they attack it with the sole intent of mastering the flour, sugar, and eggs and demonstrating who is boss. Boys don't roll out dough, boys annihilate dough with a wooden rolling pin as their weapon of mass destruction. Boys don't decorate cookies, boys fling heaping piles of sprinkles or frosting in the general direction of the cookie as they are racing through the room chasing, being chased, or on their way to rig the ceiling fan with legos for their unsuspecting mother again. Boys do, however, lick beaters. When we first moved to Tennessee, Scientist was 5, Daredevil was 4, and Starshine was 2. I decided we would start a new tradition of making gingerbread cookies for Santa. 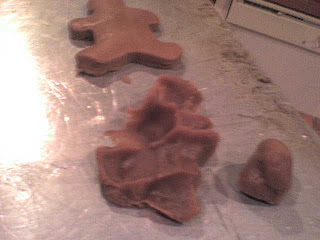 I mixed the dough, rolled it out, asked for volunteers to man the cookie cutters and baked pan after pan of perfect little gingerbread men. When I got to the last pan, I had enough dough left over to give a chunk to each boy to design his own cookies, sans cookie cutter. The boys worked on their individual masterpieces and then I place them in a row beneath the perfectly proportioned gingerbread men, baked it for ten minutes, and pulled the pan out to see that dough crunched up, rolled up, and smashed by little boy hands had expanded beneath the gingerbread men's legs to look like nothing more than some pretty impressive specimens of poop. Anyone with boys knows that poop is one of their favorite subjects. That Christmas passed and, being a girl, I forgot about the poop incident. My boys, however, did not. Somewhere in the back of their testosterone-soaked brains, hidden behind the alphabet, how to ride a bike, and plans for the eventual destruction of middle Tennesse, lurked a memory of the most enjoyable Christmas tradition they'd even encountered. "Yay! We get to make gingerbread poop!!" Thus it began. Every year since, I roll out dough, cut perfectly proportioned gingernbread men and then hand an ever increasing amount of dough to my boys to make their poop masterpieces. Honestly, it's the most interest in cooking any of them have ever shown. I took pictures of this year's delicacies. The first shows the offerings from the Scientist (always precise, even when dealing with excrement) and Daredevil (whose work looks like a cross between poop and seriously over-worked roadkill). The second pic is Starshine's unique interpretation. As proof that I have completely capitulated, this year I pulled the pan out of the oven and yelled up the stairs, "Come down for poop and eggnog!"